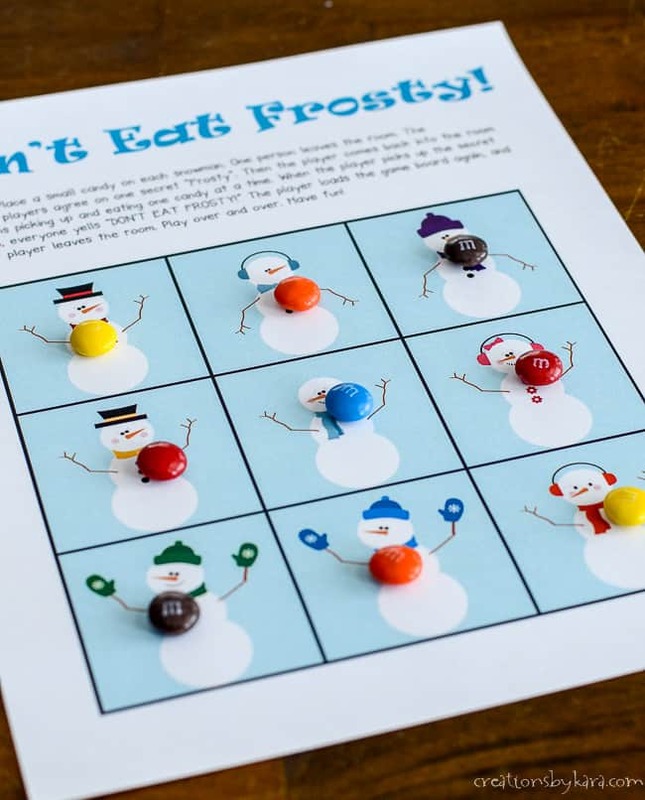 Don’t Eat Frosty Printable Game – this free printable candy eating game is fun for kids of all ages! My kids love playing Don’t Eat Santa every Christmas season. Everyone from the seven year old up to the twenty three year old will play it, because it involves eating candy. Who doesn’t love that? I decided to come up with a few more versions of the game so we can play it all year round. 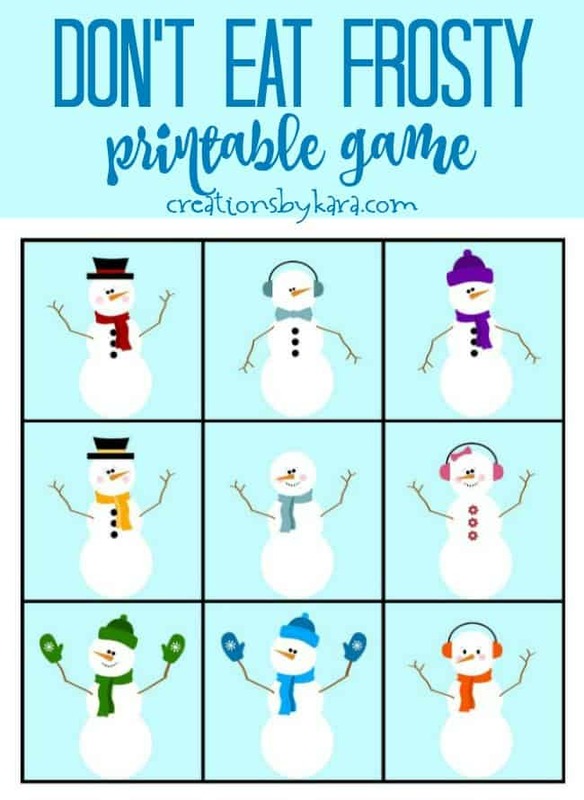 It is great for family game night, but it is also a great boredom buster when it is too cold to play outside. It also works great for a classroom party game. 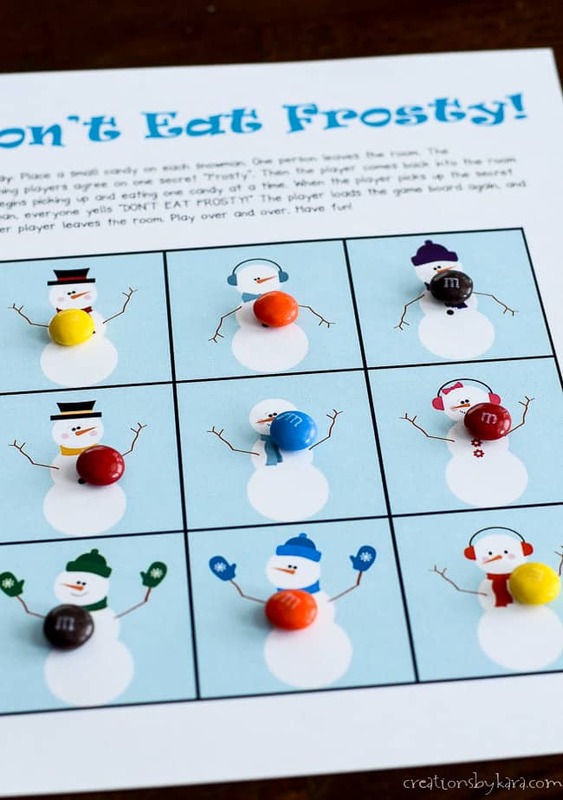 All you need to play this game is the free printable and a bag of small candies. We like to use M&M’s or Skittles, but any small candy will do. You can even use nuts, chocolate chips, or cereal if you prefer. My daughter loves goldfish crackers, so we’ve even played with those! To Play: Place a small candy on each snowman. One person leaves the room. The remaining players agree on one secret “Frosty”. Then the player comes back into the room and begins picking up and eating one candy at a time. 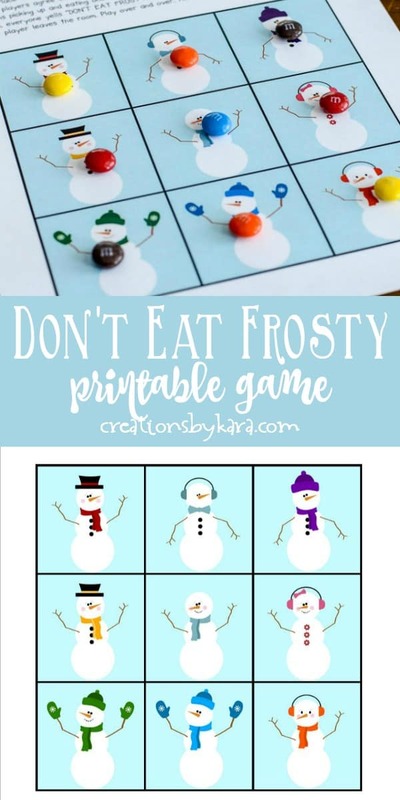 When the player picks up the secret snowman, everyone yells “DON’T EAT FROSTY!” The player loads the game board again, and another player leaves the room. Play over and over. Have fun! I printed the game instructions right on the printable card, so it makes a fun gift. Just include a bag of candies with the game card, and give it to a family or even a teacher. To print the game, click on the link below. Open up the PDF file and print on white cardstock. I recommend laminating the game card so that it lasts longer. 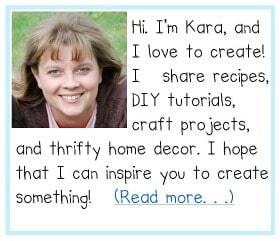 To see all my free holiday printables, click HERE. Oh, thank you so much. I needed this!